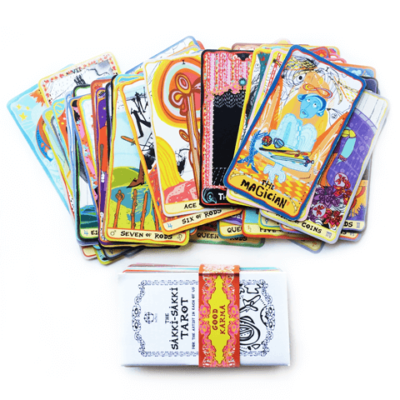 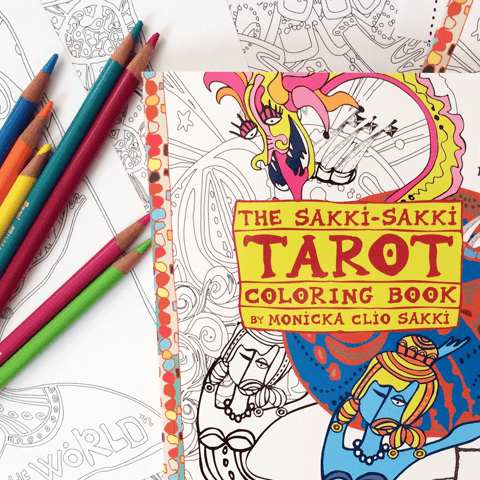 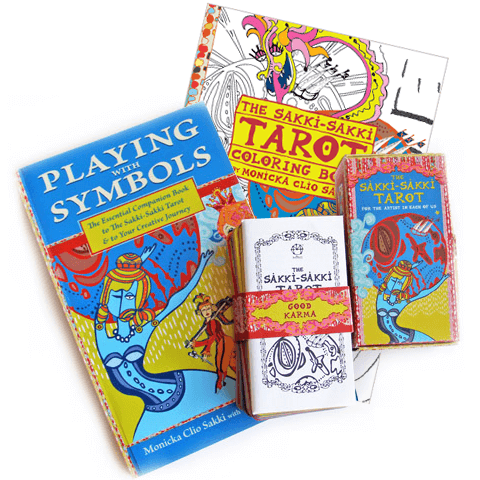 Get the FULL DEAL Sakki-Sakki experience: Limited Edition Tarot deck, Playing with Symbols Companion Book & Coloring Book (with extra card!) 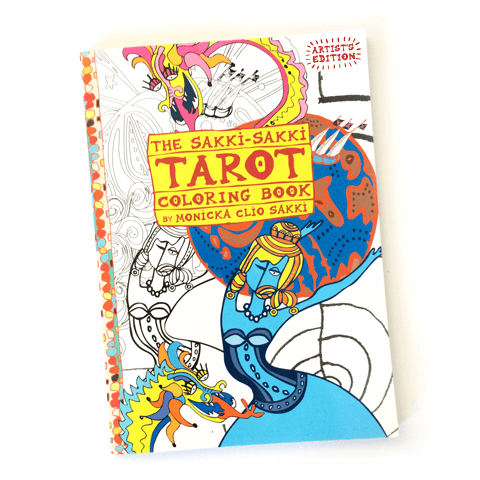 in an amazing deal!! 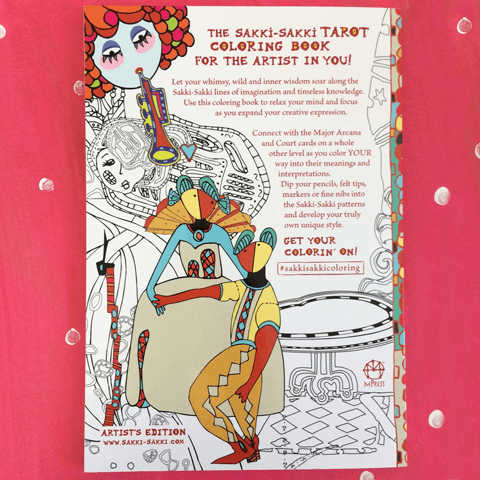 In addition you get a 48 page Little White Book with a brief explanation/keywords for every card and spread samples, so you are ready to go! 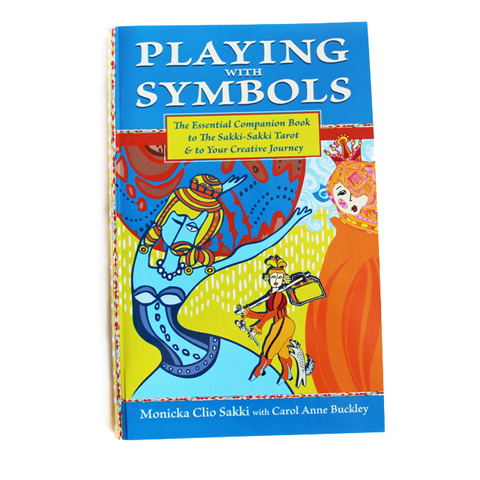 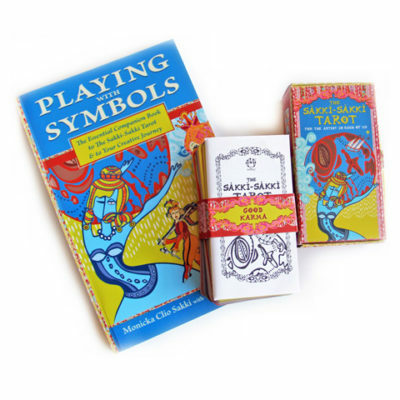 Companion Book: Playing with Symbols: Paperback, 13.5x21cm/5.3×8.2″, 222 pages. 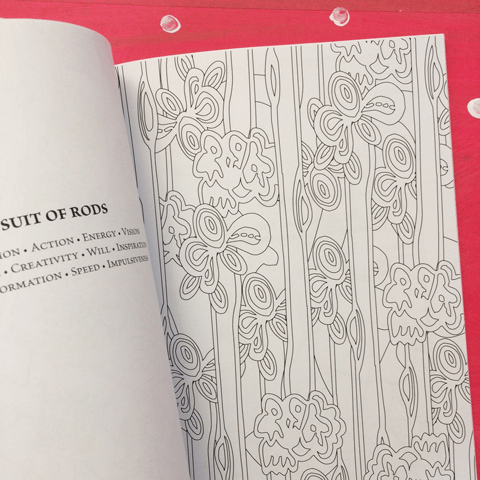 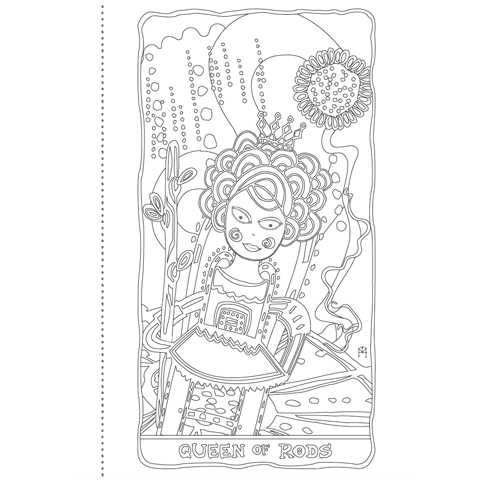 Coloring Book: Artist’s Edition: Paperback, Paperback, 100 pages, printed on 90gr paper. 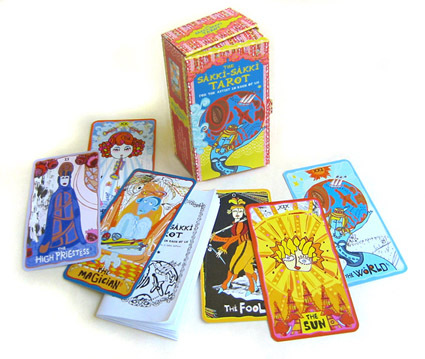 Extra Card: THE ONLY WAY TO GET THIS CARD! 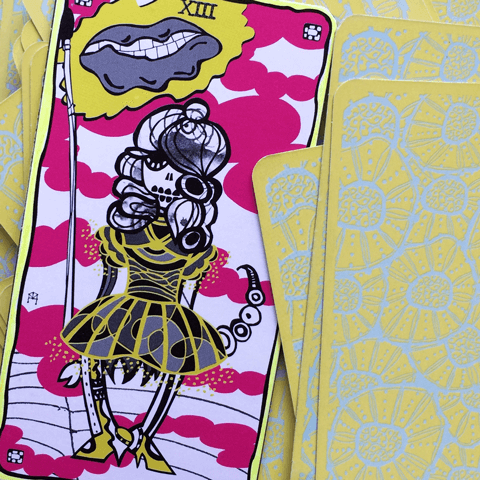 Printed on different kind of stock, but you can mount it on an extra card (included), and it shuffles in nicely!